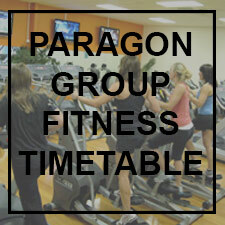 Business as usual at Paragon Fitness. After 20 years of Brighton Fitness serving the local community with its health and wellness needs, the doors closed at Brighton Fitness on the on 28th July 2017. Many Staff and some Members will understand the countless hours over many years (most times assisted by my great friend the late Harry Hansman) maintaining and fixing the roofs and gutters and also the ceilings. Whilst a great job has been done (as evidenced by the deluge of recent downpours having little impact) on a roof that is 960sqm recent health and personal events have made the job of constantly fixing and maintaining the property too overwhelming for me, so the decision to sell was made a little easier than it ever would have been in previous years. An unexpected expression of interest was recently made to acquire the Brighton Fitness property to develop/renovate to facilitate alternative purposes. As this is not a ‘walk in walk out’ purchase there will no longer be a fitness facility at these premises. The Brighton chapter of the business will soon be very fond history but Paragon is welcoming you to continue your health and fitness routines among staff and members you are already familiar with at no extra cost. We would therefore be delighted to continue providing you with a superb facility, the only difference being location. 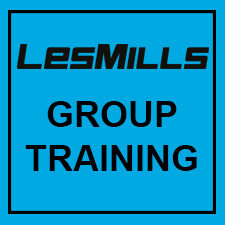 In the event you have a prepaid membership and do not wish to continue that at the Happy Valley location you can inform us by simply emailing enquiries@brightonfitness.com.au, your intention to cancel and receive a prorated refund on unused membership. Please provide bank account holder’s name, BSB and account number. If you have a 12 month direct debit arrangement, that will continue at your current rate until the expiration date, unless we are advised by email of your intention to discontinue without incurring a cancellation fee. We will do the rest. Those of you who have a direct debit until further notice (non-fixed period) will continue at your current rate unless we are advised by email of your intention to cancel. Please note that if you continue, you will remain on your current rate until you cancel at any point of time in the future. I, on behalf of the Staff take this opportunity to thank those fantastic long term members in particular, for their unwavering loyalty over many, many years. 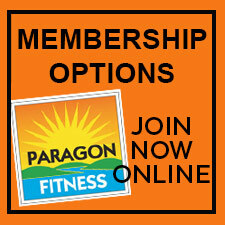 We earnestly hope you at least try Paragon Fitness if indeed you do hold reservations over change in location, for we are sure you will adopt the same enthusiasm for Paragon Fitness as you embraced for Brighton Fitness.